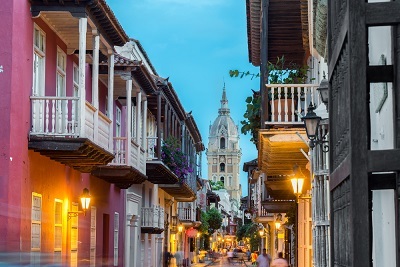 Tropical beaches, rainforest, glaciers, remote deserts, soaring mountains and dynamic cities – you can find it all in Colombia, one of Latin America’s most vibrant and varied nations. If you’re after the bright lights of the big city, look no further than Bogotá, one of the largest and liveliest urban hubs in the continent. If a relaxed pace of life by the sea is more your style, check out the idyllic beaches of Colombia’s Caribbean coastline. In the second half of 2014, Colombia overtook Peru to become Latin America’s fastest-growing big economy. And if you do plan to study in Colombia, you’ll be pleased to learn it’s also home to many of the region’s leading universities. Major exports include oil, coffee, coal, gold, bananas, flowers, emeralds, sugar and cotton products. 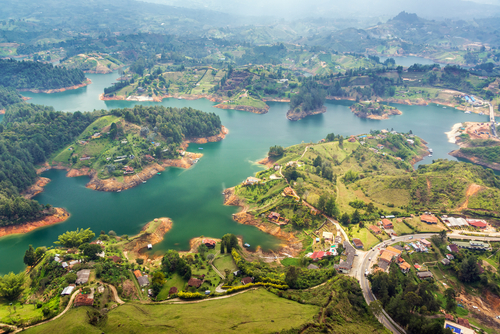 Famous Colombians include singer Shakira and author Gabriel Garcia Marquez (winner of the 1982 Nobel Prize in Literature). Colombia is the world's leading source of emeralds and its coffee is world-renowned. Colombia is the second most bio-diverse country in the world; it has more species of birds than all of Europe and North America combined. In the QS Latin America University Rankings 2018, 53 universities in Colombia are ranked within the region’s top 400. Of the Colombian universities to also feature in the QS World University Rankings® 2018, the highest entry is the Universidad Nacional de Colombia, ranked joint 254th in the world. The Universidad de Los Andes is not far behind, ranked joint 256th in the world. Both of these universities are considered to be in the top 15 in Latin America. Also in the global top 500 are Universidad Externado de Colombia and Pontificia Universidad Javeriana. 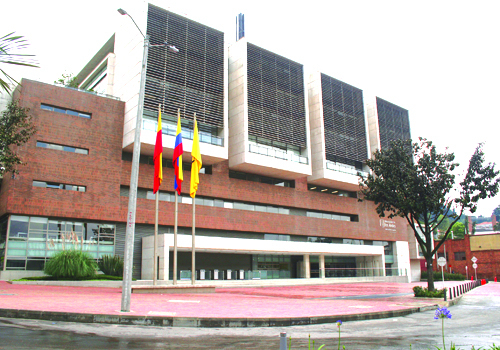 Colombia’s largest educational community, the Universidad Nacional de Colombia has more than 46,000 students enrolled, mostly at undergraduate level. It’s been improving its ranking positions in recent years and in the 2018 world rankings became the best university in Colombia, ranked joint 254th in the world. 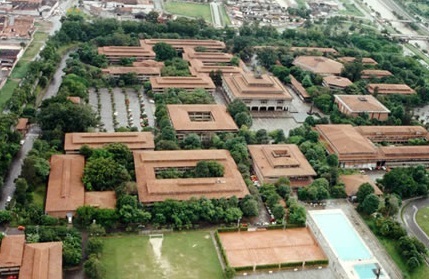 Also ranked joint 11th in Latin America, the university was founded in 1867, and is a public institution, with campuses in several different locations across Colombia, with the main one in the capital Bogotá. Ranked eighth in the QS Latin America University Rankings 2018 and joint 256th in the global ranking, Universidad de Los Andes Colombia is one of Colombia’s most prestigious institutions. 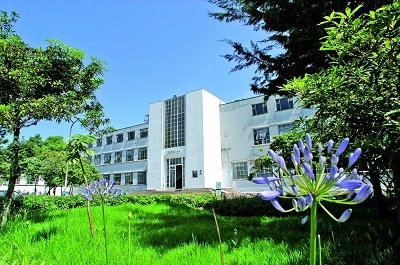 It was established in 1948, and is a private nonsectarian institution with almost 25,000 students. The university has nine faculties, covering a wide spectrum of subjects at both undergraduate and graduate level, and is based in the historical center of Bogotá, something which only adds to its popularity among students. One of Colombia’s oldest private-sector higher education institutions, Pontificia Universidad Javeriana was established back in 1623. It’s one of more than 100 universities worldwide run by the Society of Jesus (a Christian religious group, also known as Jesuits). Almost 22,000 students are enrolled, most of whom are based at the main campus in Bogotá. The university is currently ranked 20th in the Latin America ranking, and 461-470* in the world ranking. The Universidad de Antioquia is Colombia’s oldest public university, established in 1803 by a Royal Decree issued by King Charles IV of Spain. Initially it was called the Franciscan College, but changed its name and education plan after Colombia gained its independence from Spain. Today, the Universidad de Antioquia has approximately 31,000 students enrolled across undergraduate and postgraduate levels. It’s currently ranked 17th in the Latin American ranking and within the top 650 in the world, and is situated in Colombia’s second city, Medellín. While still emerging from the damage caused by decades of civil war, violent crime and drug cartels, Colombia is undoubtedly on course to enjoy a much more positive period in its history, in which higher education will play a central role. The world-famous Barranquilla Carnival (second only to that of Brazil’s Rio de Janeiro in the South American carnival calendar) has been designated by UNESCO as a piece of Intangible Cultural Heritage, in recognition of its unique fusion of indigenous, European and Caribbean cultural elements. 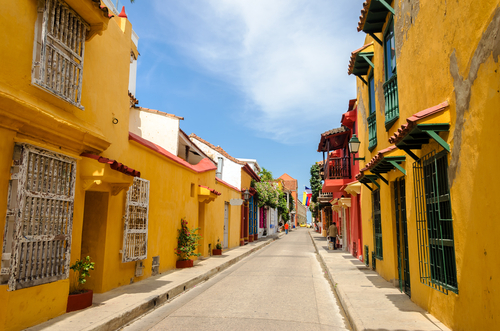 This rich Colombian culture has given birth to internationally famous names including singer-songwriter Shakira and novelist Gabriel García Márquez, who won the Nobel Prize in Literature in 1982. 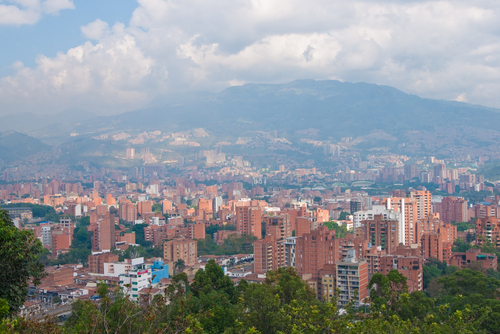 Colombia’s capital, Bogotá, is also the country’s largest city by far and one of the biggest in Latin America. Famous for its numerous universities and libraries, Bogotá is sometimes called the “Athens of South America”. The city used to be one of the most violent settlements in the world, but crime rates have been significantly reduced in recent years, following the integrated security policy, Comunidad Segura, which was adopted in 1995. 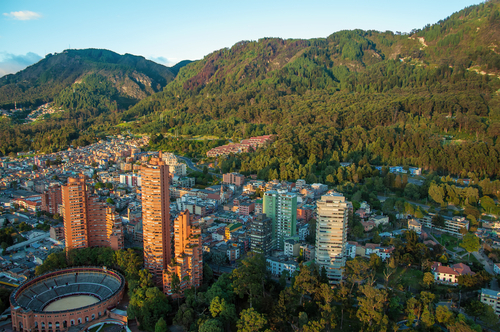 Today, Bogota is a vibrant city with a thriving cultural life. 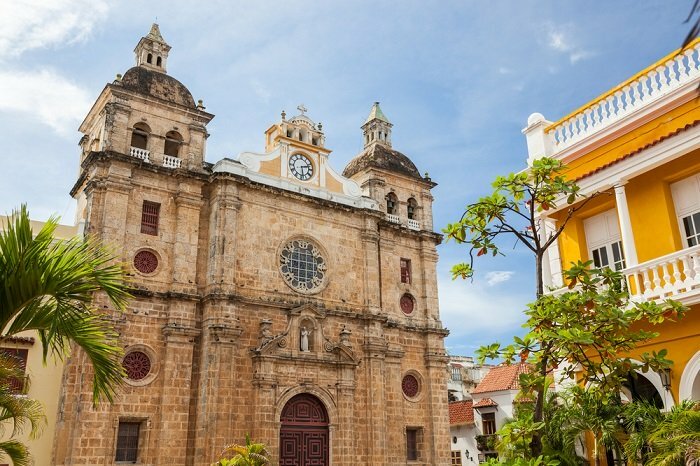 It has over 150 national monuments, 70 parks, 60 galleries and 50 museums, including the Colombian National Museum, which is one of the oldest in the Americas. Bogota is home to a collection of Colombia’s highest-ranked universities, including Universidad de Los Andes Colombia (ranked eighth in Latin America), Universidad Nacional de Colombia (11th in Latin America) and Pontificia Universidad Javeriana (20th in Latin America). The second largest city in Colombia, Medellín is situated in the heart of the Andes, and is one of the country’s main economic and cultural centers. Its pleasant climate, characterized by moderate temperatures, has given it the nickname “City of Eternal Spring”. Those keen to make the most of this may be drawn to the nearby Arví Ecotourism Park, which covers around 20,000 hectares and offers all sorts of activities, including trekking, kayaking, biking, fishing, swimming, sailing, rowing, horseback riding and more. Medellín is home to the prestigious Universidad de Antioquia, which ranks 17th in Latin America and within the top 650 universities in the world. You need to present a certificate of enrollment/registration and prove that you have already paid your tuition fees. Take photocopies of all the relevant paperwork. Take the registration form to a notary to get it signed. Take all documents and your passport to the Ministry of Foreign affairs in Bogotá (or to your local embassy). After you get the student visa, you will need to register for a Colombian Cedula (citizen card) at La Unidad Administrativa Especial Migración Colombia within 15 days, otherwise you may face a fine. The tuition fees you will pay depend on whether you study in a public or private institution. At public universities in Colombia, fees usually amount to around 2,000,000 pesos (~US$970) per semester. Private universities typically charge between 2,000,000 and 11,000,000 pesos (~US$ 970-5,330) per semester. Some graduate-level scholarships for international students are available from the Instituto Colombiano de Crédito Educativo y Estudios Técnicos en el Exterior (ICETEX).